While it can be difficult to gather the necessary knowledge to future proof your home, it can be done with research and planning. Knowing what the future holds is an impossible task, there are too many variables to rely on a prediction; anything can change at any given time. And so many people end up doing something that isn’t required in the end. There were cases of people rushing to build bunkers for the end of the world - and how many time has that been predicted? Looking ahead can be a chore for some but it is worth it. Taking into consideration the trends today and comparing them to the past is handy. Take the weather for example. Over the past few years the weather has been improving, it's getting hotter in summer, there’s a lot more sun. And we’re loving it. But if we follow this trajectory, it will be getting hotter over the coming years. And we British, well we aren’t great with the heat at times. So with this, my first suggestion would be to get some sort of Air Conditioning. Not only will it benefit you in the long run by making sure you can deal with the summer heat waves, but it will add value to your house too. So if you ever want to sell, you can get a little extra for that. Sometimes it's cheaper to get an industrial style package, in which you can get effective units outside with ducts that run all through your home. However, if you only want to do add Air Con to one room you can get single units that just attach to an exterior wall. As mentioned the UK is getting hotter. 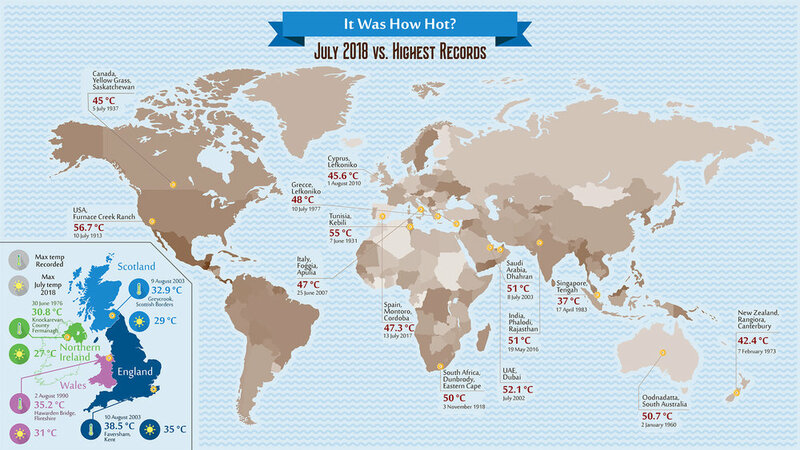 This is obvious when you look back on the data and you can see from the image below that the hottest temperatures recorded in the UK are catching up with the rest of the world. Although you would expect Air Con to drain energy and waste money, it’s very easy (on some brands) to set up an automated service. Whether that’s to turn off at a certain time when you leave the house for work, and then turn back on when your home, or too cool your house down if it gets up to a certain temperature at night. You're able to conserve energy and maintain a reasonable electric bill. This type of thing is very achievable if you start to integrate a ‘smart home’ theme into your home too. These are great for a number of reasons but many overlook the effect on the elderly. They can use one remote to change anything, they don’t need to get up - which is fantastic for those with mobility impairments.